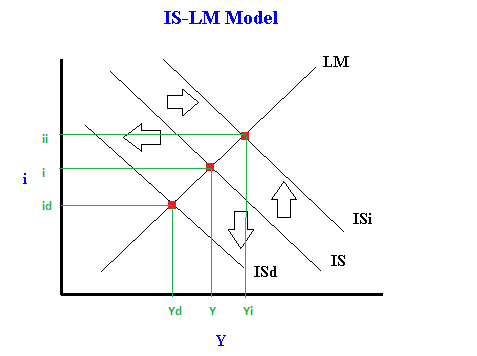 What causes shifts in the IS or LM curves? - FreeEconHelp.com, Learning Economics... Solved! 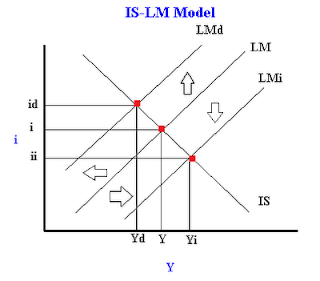 Home IS/LM macroeconomics What causes shifts in the IS or LM curves? This post was updated in August 2018 to include new information and examples. Any change in the above variables can cause a shift in the IS curve, below we go through a case by case basis for each of the variables and give an example of how the IS curve is affected. The government can either increase government spending (shifting IS right) or decrease government spending (shifting IS left). The government can also increase taxes which lowers consumer spending (shifting IS left) or decrease taxes which increases consumer spending (shifting IS right). If consumers decide to save more (which means that marginal propensity to consume declines) then consumer spending declines and the IS curve shifts left. If consumers decide to save less (so marginal propensity to consume rises) then consumer spending increases and the IS curve shifts right. If exports increase (normally due to currency depreciation) we will see the IS curve shift right. If exports decrease (due to currency appreciation) we will see the IS curve shift left. Important Note: Imports are endogenous in the model (they are a function of Y) so generally change in imports has no effect on the IS curve. 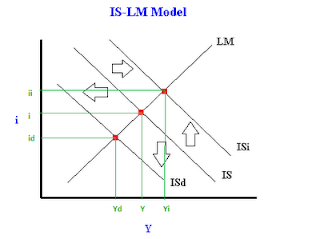 However, depending on your professor, a change in imports will have the opposite effect on the IS curve that exports has, so a decrease in imports shifts IS right, and an increase shifts IS left. If consumers/firms feel more confident about the future, they may invest more regardless of the interest rate. This will cause an increase in investment (IS shifts right). If consumers/firms feel less confident about the future, they may invest less regardless of the interest rate. This will cause a decrease in investment (IS shifts left). If the central bank (or Federal Reserve) decides to increase the money supply (by buying t bills) then the LM curve shifts right. If the central bank (or Federal Reserve) decides to decrease the money supply (by selling t bills) then the LM curve shifts left. If improvement in the velocity of money occurs such that people require less money to conduct all of their transactions, the LM curve will shift right (because the opportunity cost of holding money goes down because there is now an alternative). If the price level rises, the LM curve shifts left. This occurs because people need more money to pay the higher prices, but the higher resulting interest rates lower the demand for money. If the price level declines, the LM curve shifts right. This occurs because people need less money to pay the lower prices, and the lower interest rates increase their demand for holding money. Awsome and extremely helpful article.. Thanks for writing. Slope Changes are not written ??? 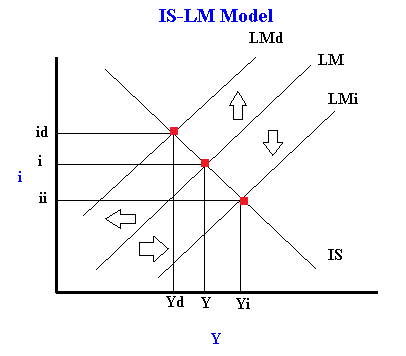 what change occur to LM curve when money supply increase? Thank you!this was very helpful.I didn't have a good understanding on IS-LM model, but now I got it.Tomorrow I have Economic test.Now I feel confident.Thanks again!